CLEO’s Centre for Research and Innovation is pleased to launch our newest public legal education and information (PLE) resource – the PLE Toolbox. 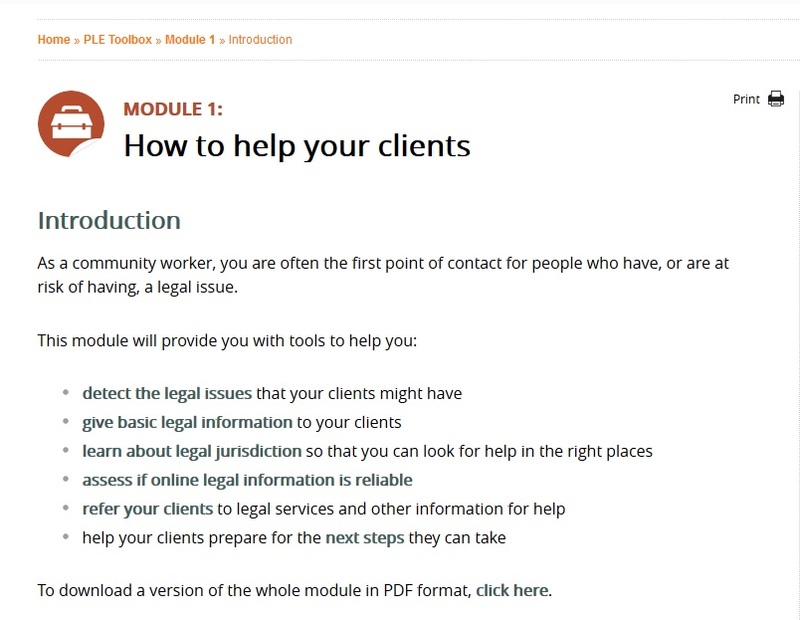 Module 1 of the PLE Toolbox – “How to help your clients” – is now live on the PLE Learning Exchange website. 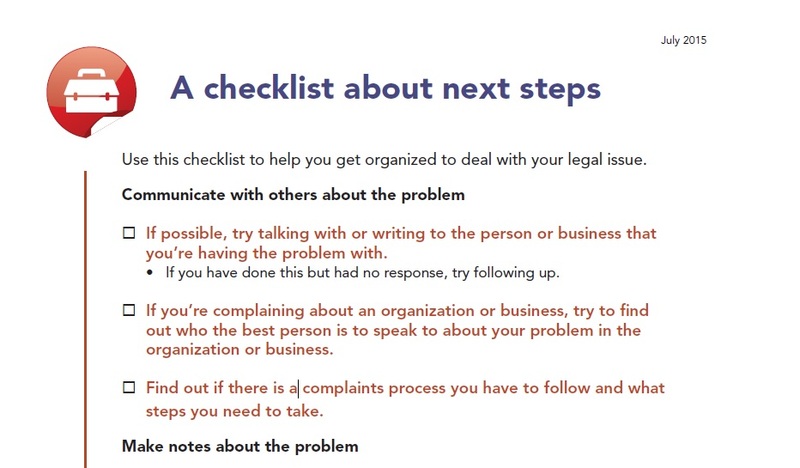 With the Toolbox, we aim to create, gather, and share information and practical tips about good PLE practices with front-line community and legal workers. We’ve received input from PLE providers and community workers on this module and will continue to consult with others on future modules. 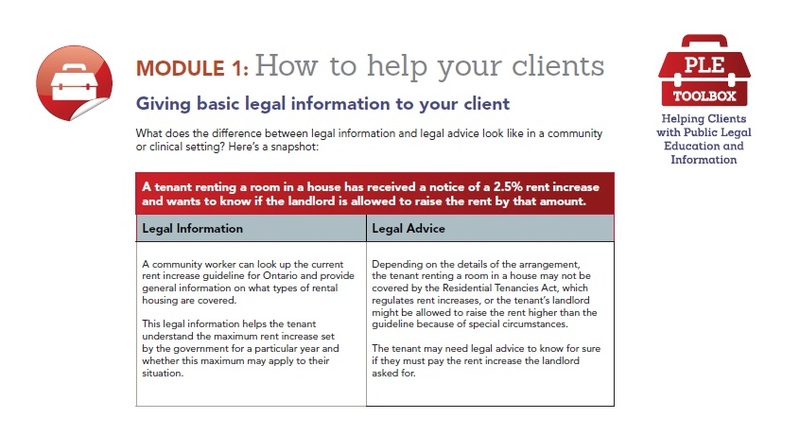 We hope that Module 1 makes it easier for community and legal workers to help people in their communities who have legal problems. Future modules will focus on strategies for creating and reaching people with PLE materials, using technology in PLE, conducting needs assessments and evaluations, and training community workers and leaders. We’re very excited about this project. To check out the PLE Toolbox, click here – and we’d love to hear your thoughts. The idea is terrific and you’ve definitely caught my interest, especially with Module 2 on developing print and online content. I look forward to it… Thanks for taking this on — will serve many, no doubt.